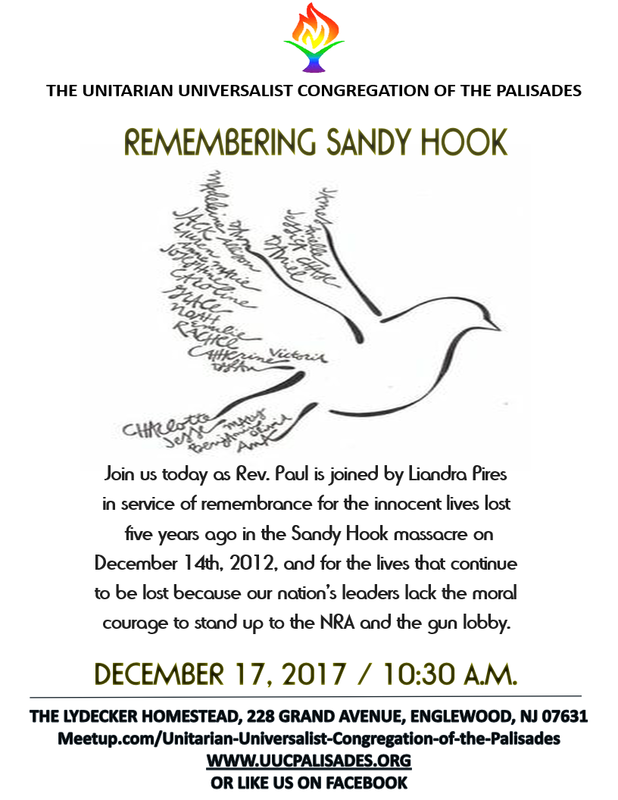 Please join us for our service at 10:30 a.m. as Rev. 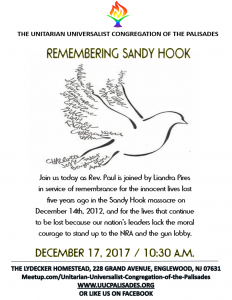 Paul is joined by Liandra Pires in service of remembrance for the innocent lives lost five years ago in the Sandy Hook massacre on December 14th, 2012, and for the lives that continue to be lost because our nation’s leaders lack the moral courage to stand up to the NRA and the gun lobby. Bring a friend and stay for coffee and light refreshments. We look forward to seeing you.